Photos courtesy of Longviews Studio, Inc. 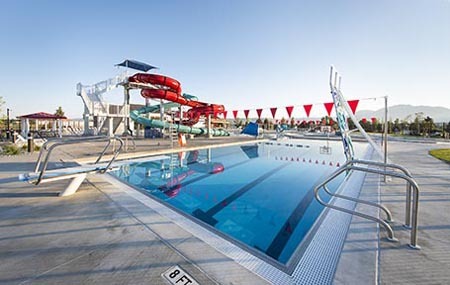 In January 2015, Counsilman-Hunsaker researched aquatic facility options and provided information for the development of a new facility in Stodden Park. 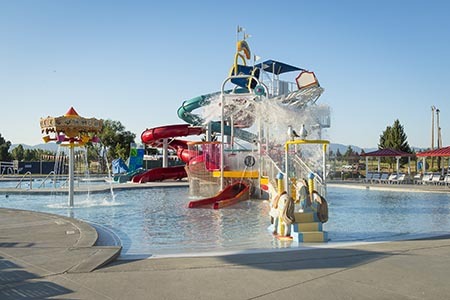 The study offered a comprehensive analysis that focused on three seasonal outdoor aquatic facility concepts that offered various amenities with conceptual drawings, programming, and an operational pro forma. 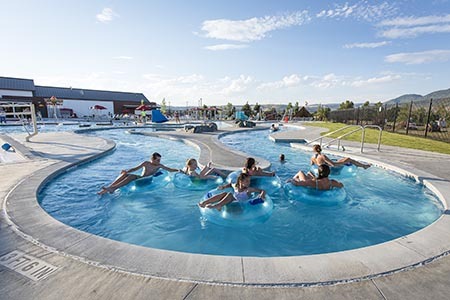 In March 2016, the City of Butte set out to garner excitement for a decision on a bond measure that would be used to build a new community aquatic center. Counsilman-Hunsaker was contracted to develop a promotional video in which viewers could “fly-through” the proposed aquatic facility to get a personal experience in the facility. Stakeholders could experience various angles and views throughout the proposed facility in addition to suggesting future programming opportunities for community members. The video played a vital role in securing the votes the city needed to pass the bond for a new outdoor aquatic center. Voters in Silver Bow County put the project in motion by approving a $7.2 million bond in June 2016 to pay a large portion of the construction. Another $1.5 million in private and public funds will pay for amenities including the giant slides and the lazy river. 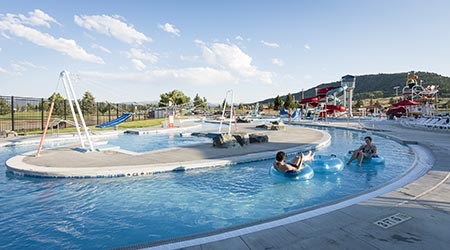 In September 2016, the team of Counsilman-Hunsaker and SMA Architects was retained for the design of the new Butte-Silver Bow Community Pool. The 14,000 sq. ft. aquatic center is expected to be completed in spring/summer 2018 and will include zero beach entry, four 25-yard lap lanes, two waterslides, a large lazy river, play structure, various spray features, monkey swings and five stair entries.